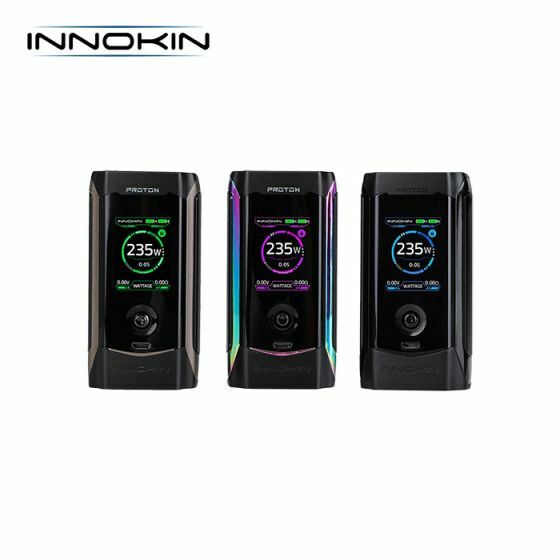 The Innokin Proton Express Kit features the new Proton 235W mod from Innokin featuring the new Innokin 235 chipset and large 1.45 TFT full-colour screen along with joystick navigation. The Proton has a sleek and ergonomic design, with one side of the mod acting as a full-size fire button. It features a 1.45 TFT full-colour screen displaying output modes and various functions including six preloaded themes, all of which can be controlled and selected by the joystick located underneath the screen. The Proton has a Micro USB for onboard 2A charging and for future firmware upgrades. 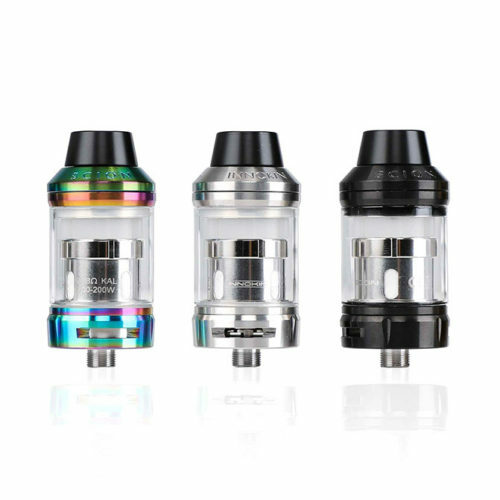 The device includes a Preheat Function and various output modes including, Variable Wattage Mode, Variable Voltage Mode and Temperature Control Mode. Whilst in TC Mode, the user can further access TCR (Temperature Coefficient of Resistance) Mode, which allows multiple wire alloy types to be used. 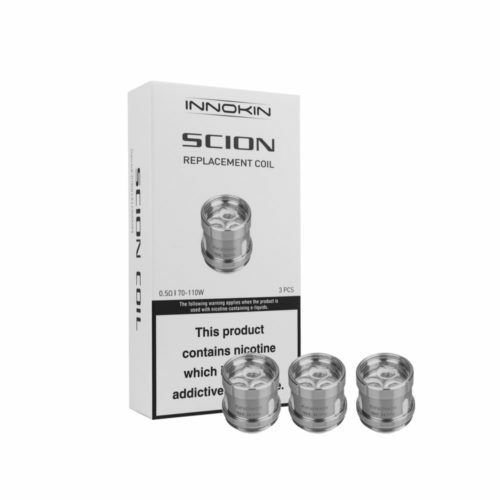 The Express Kit contains the Innokin Proton Mod, no tank is included. The Innokin Proton Express Kit features the new Proton 235W mod from Innokin . 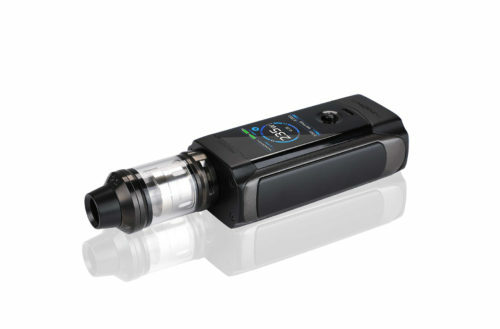 The Proton features the new Innokin 235 chipset and large 1.45 TFT full-colour screen along with joystick navigation. The Proton has a sleek and ergonomic design, with one side of the mod acting as a full-size fire button. It features a 1.45 TFT full-colour screen displaying output modes and various functions including six preloaded themes, all of which can be controlled and selected by the joystick located underneath the screen. The Proton has a Micro USB for onboard 2A charging and for future firmware upgrades. The device includes a Preheat Function and various output modes including, Variable Wattage Mode, Variable Voltage Mode and Temperature Control Mode. Whilst in TC Mode, the user can further access TCR (Temperature Coefficient of Resistance) Mode, which allows multiple wire alloy types to be used. 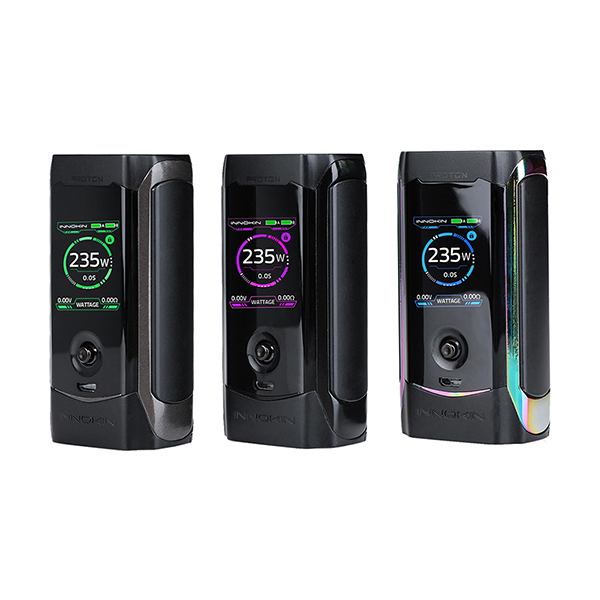 The Express Kit contains the Innokin Proton Mod, no tank is included.